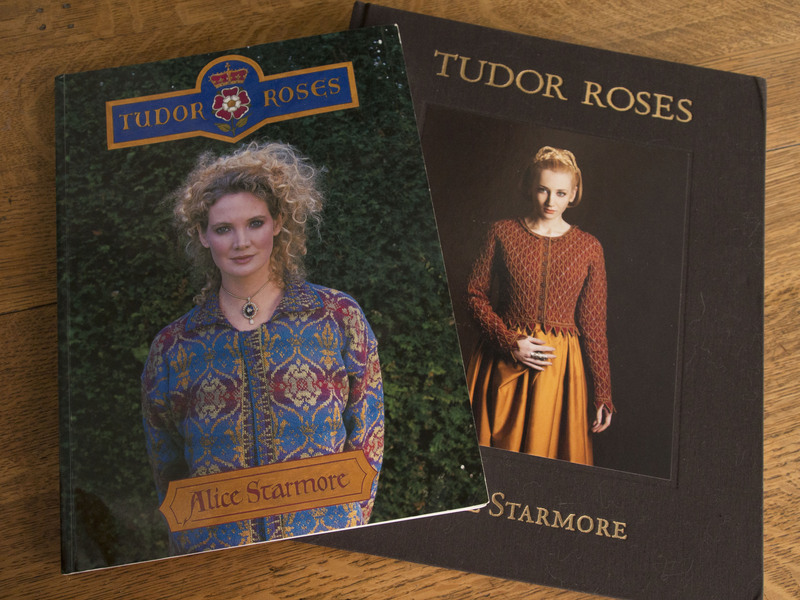 Tudor Roses, I have both. The first by Alice Starmore (1998) has become an icon in the knitting book world, and commanding many times over the original $24 price tag. 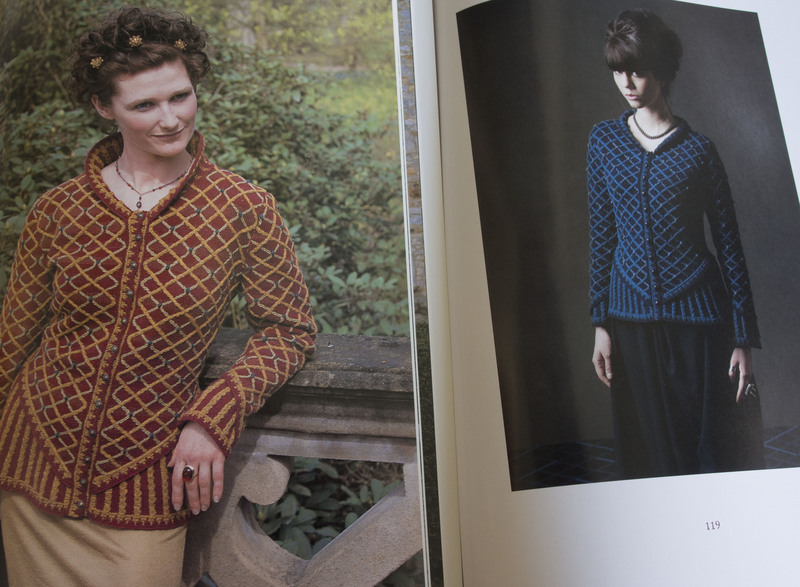 I have yet to knit anything from this, although it is definitely on my upcoming list to knit a Starmore sweater. 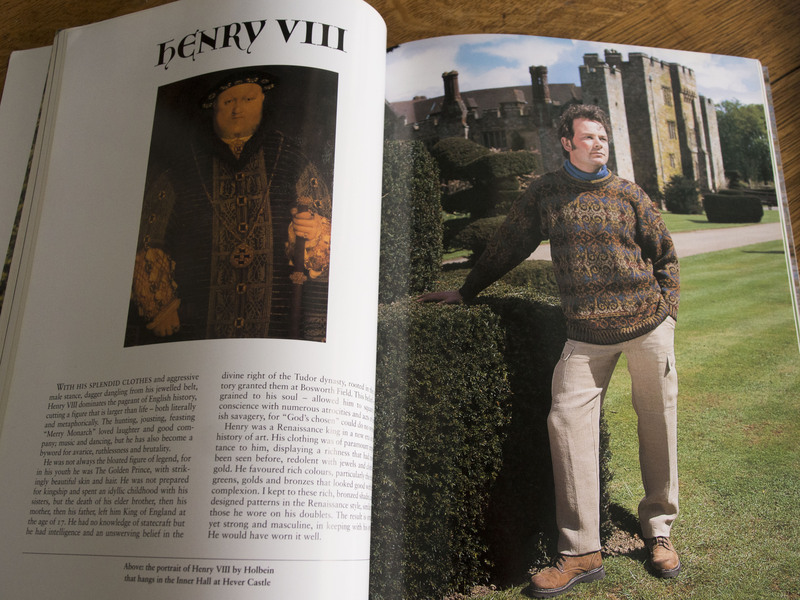 All of the sweaters were inspired by members of the Tudor Dynasty, each comes with a brief bio of the person, and the necessary charts, etc for those who wish to actually knit them up rather than just drooling through the pages. So when a new version of this book was issued (2013), I was not sure that it was necessary. How wrong could I be. This was an early Christmas present to myself, and well worth the current price of about $27 (list is $40). 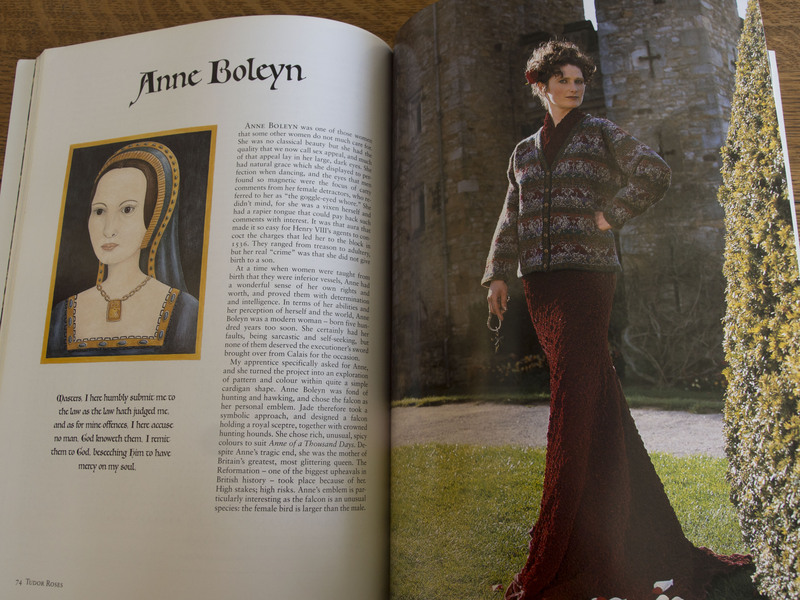 As described in the review: Part fashion, part photography, part English history, and all knitting. There are a few new patterns, and many reknit in a different color way, so they look totally different. 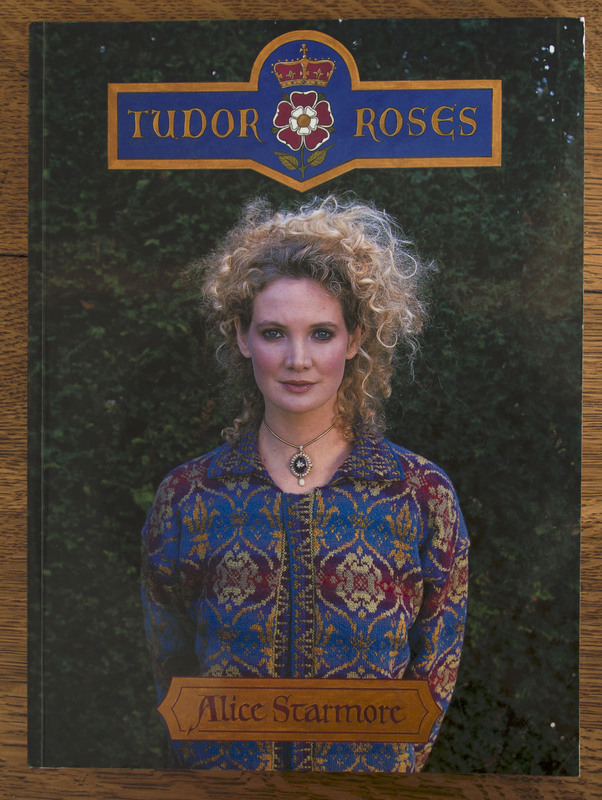 Most important is the quality of this book, it is a lovely cloth covered hardcover, and has the look and feel of a beautiful coffee table book. All of the photography is totally new, not set in scenes, but rather studio shots. 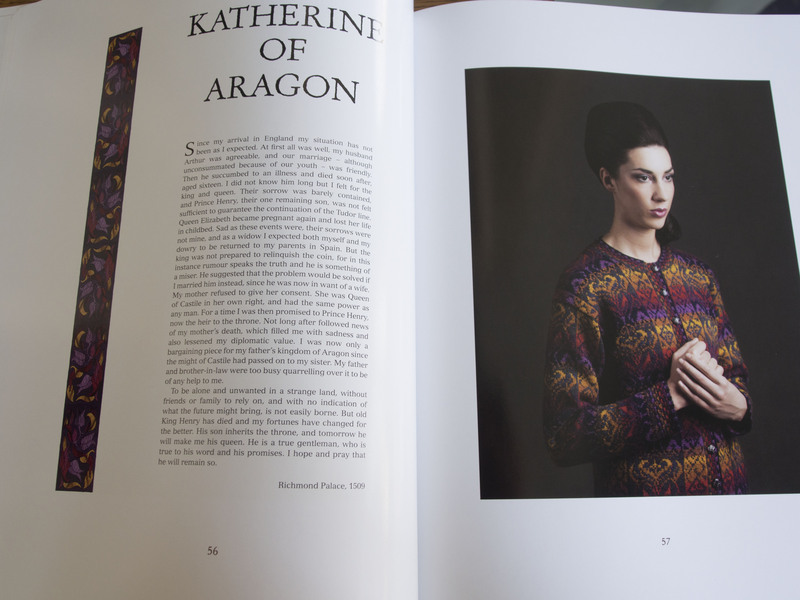 Each sweater is on a different model, ones that Starmore chose to reflect her vision of the woman for whom the sweater is thus named. 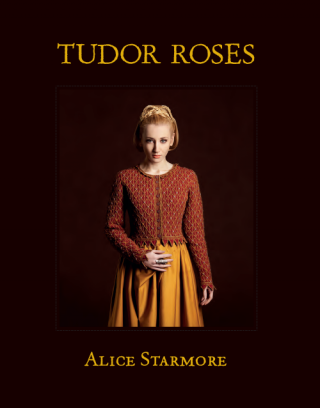 There are a few new patterns not found in the original book, at the expense of the Tudor men. 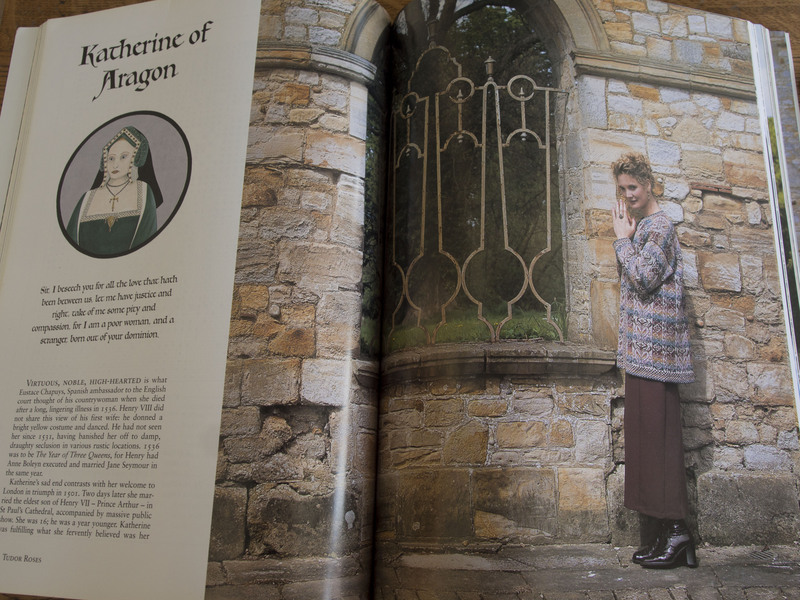 Katherine was a color change, whereas Anne got a whole new look. Here are some side by side comparisons of an original pattern to the new. The subtle color differences of the blue version here are more appealing to me. 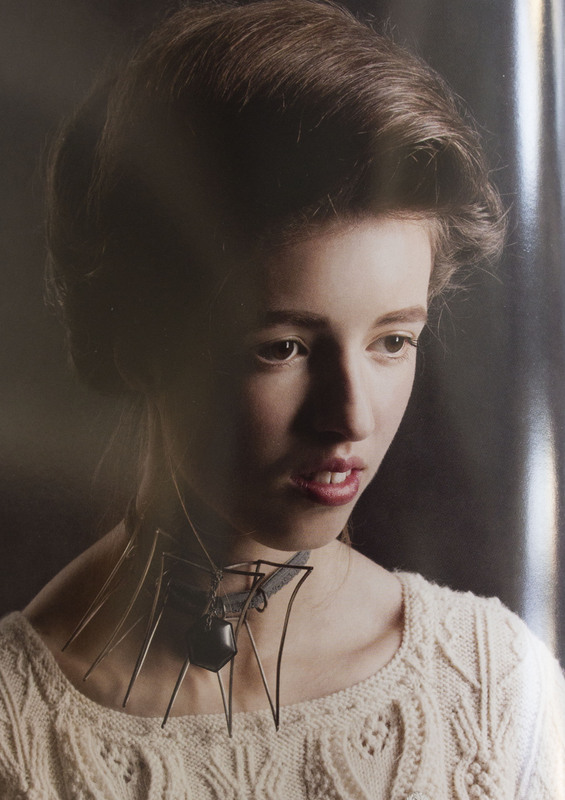 The accessories in this book are really interesting, made specifically for the book. No men in the new version, for that you need to look for the original. 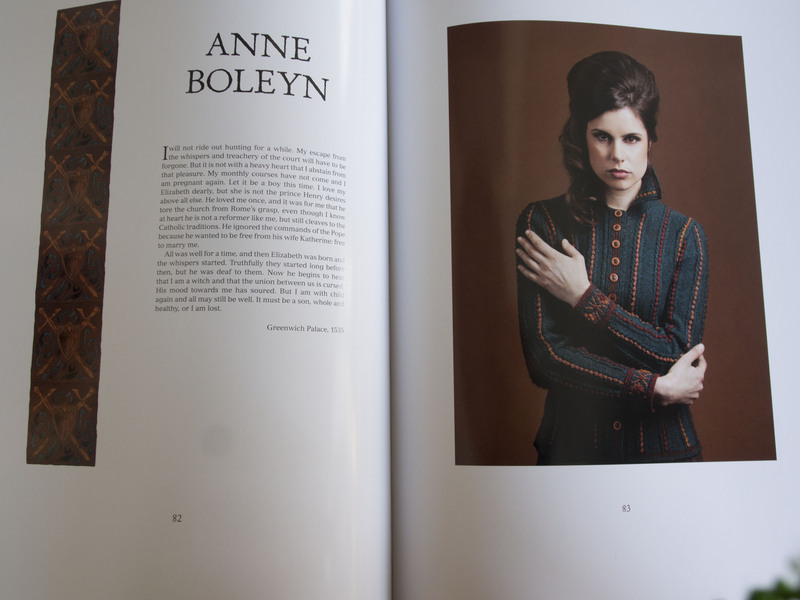 A new version of Aran Knitting was also published recently, but I think that it is a Dover edition. Still, are there patterns there that I would need? How many duplicate book copies are truly necessary?!!! I’m really disappointed in the new version. I thought they would be reprinting the old one. Sorry that you don’t like the new one. Many of the patterns were repeated. Having both, if I had to choose one, it would be the new version. It is so beautiful, and the colors are more contemporary. Maybe you can watch for the old one to surface at a good price. Your comment got me to pulling out both books and thinking. Will be doing a blog post about this.